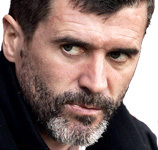 In an interview with Paul Rowan, published in the Sunday Times on December 13, 2009, Roy Keane's views on the Saipan incident appear to have shifted somewhat yet he says he still wouldn't change what he did. The focus of his ire seems to have moved from Irish football manager, Mick McCarthy to the current CEO of the FAI, John Delaney (Delaney was not the CEO during the 2002 World Cup). "It would have been a good way to gauge in terms of preparation if Ireland had qualified for South Africa...But the FAI have to take a lot of responsibility for that in terms of preparation, particularly if you do qualify for a major tournament. Would it have been any different under the new manager this year? I am not sure." This is a reference to his view that the FAI have not moved of, in terms of professionalism, since the Saipan affair. This is despite the fact that he was a fan of the Irish manager during the 2010 World 2010 qualification campaign, Giovanni Trapattoni, describing him as "absolutely brilliant". By making this latter point Keane makes it clear that no matter how good the manager of the Republic of Ireland team is he will succeed despite the efforts of the FAI rather than because of the support that the organisation provides. In this shift of view he demonstrates an empathy with Mick McCarthy's position back in 2002 in Saipan. "I do look back every now and again and I had a fall-out with Mick over one or two issues ... A manager has a lot on his plate. I realise that now I am a manager. When we look back to Saipan with Mick and the squad there, the manager has a lot on his plate in terms of the squad and his staff. I think what he hopes will be organised, particularly by the association, are the facilities. I do know the manager needs to be on top of that, but he needs a little help ..."
Not exactly an exoneration of Mick McCarthy by Roy Keane but the closest he has come, so far, to acknowledging that maybe he, Keane, had gone too far in heaping opprobrium on his former international playing colleague and manager. But in customary Keane-fashion he has to be at war with someone and this time it's John Delaney. Keane's problems with Delaney began with his father, Joe Delaney. "We had our disagreements even when I was 15, 16, 17, going away. All my troubles would have started when I was 15 years of age, believe it or not, when I was told I was too small. Maybe I just had a thing, Ill show ye all. I think his dad was running the show then, so it has just been passed on." He was particularly unimpressed with the FAI request of FIFA to expand the number of clubs competing in the 2010 World Cup finals from 32 to 33. "I was laughing, it was so stupid. And that was coming from the FAI. Where was the common sense there? How would that have worked? An extra team in one of the groups? Extra games? Do you not think they have the dates organised for years in advance? But someone once said common sense is not so common." And so it would appear that McCarthy has been substituted as Roy Keane's bête noir by John Delaney.